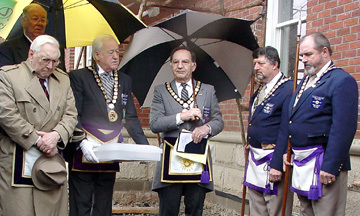 Cornerstone Ceremony at the Municipal Building located at 320 Boulevard --The actual laying of the cornerstone was done by the NJ Grand Master of the New Jersey Masons. 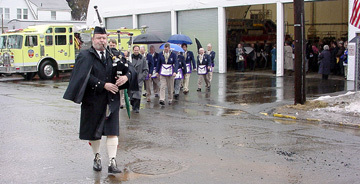 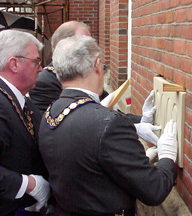 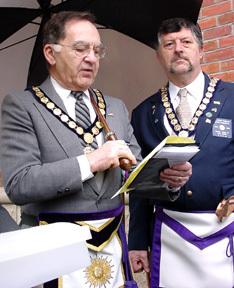 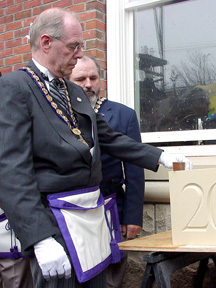 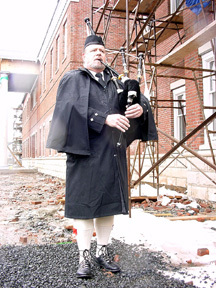 The tradition of the Free and Accepted Masons performing the laying of cornerstones at important buildings goes back hundred of years as a tradition signifying the strength and harmony of the public and in particular the support of government and education. 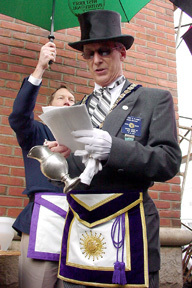 Our first President, George Washington, who was the Master of a Virgina Masonic Lodge, and performed the ceremony of the laying of the foundation for the Capitol building in Washington, D.C.
M. W. Larry S. Plasket, Grand Master of Masons of the State of New Jersey led the Cornerstone Ceremony and provided reflections. 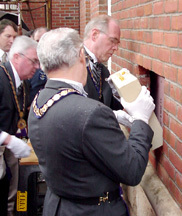 The Masons attested to the stone being plumb, square, level and sound. 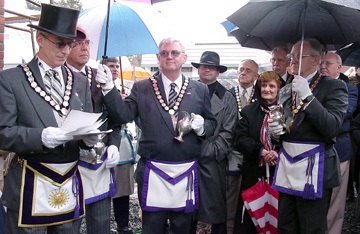 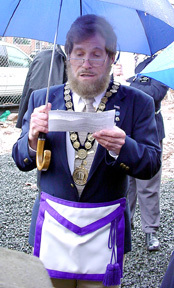 Corn, oil and wine were poured onto the stone to represent the Masonic virtues. 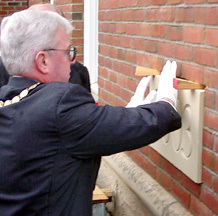 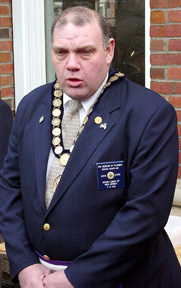 The materials to be included in the "time capsule" were read. 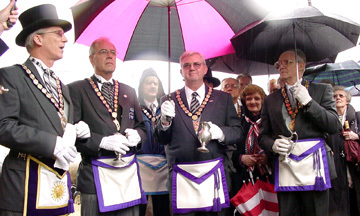 Mason Chaplains provided appropriate prayers.